Peanut butter, bananas and chocolate. Really, how could you go wrong with a combination like that? 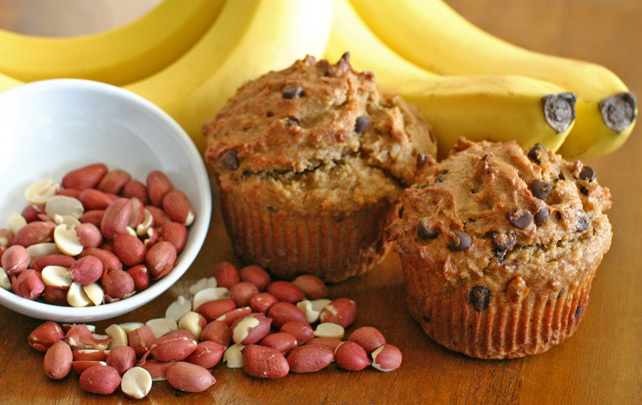 These muffins are nutritious, with a goodly amount of protein and a very modest amount of sugar (coconut palm sugar doesn’t spike insulin levels the way refined sugar does – an added bonus), making them a delicious, filling breakfast on the go, or a satisfying afternoon snack. 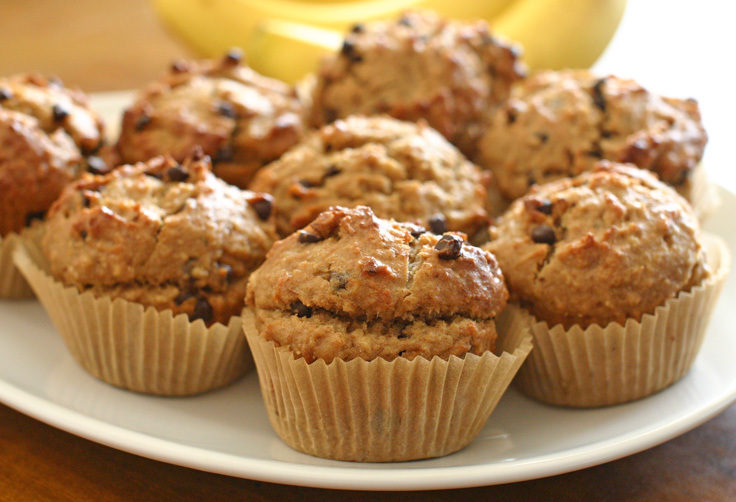 Because they don’t contain wheat flour, these muffins are also a smart choice for those with a gluten sensitivity. Not a peanut butter fan? Any other nut butter would make a fine substitute. 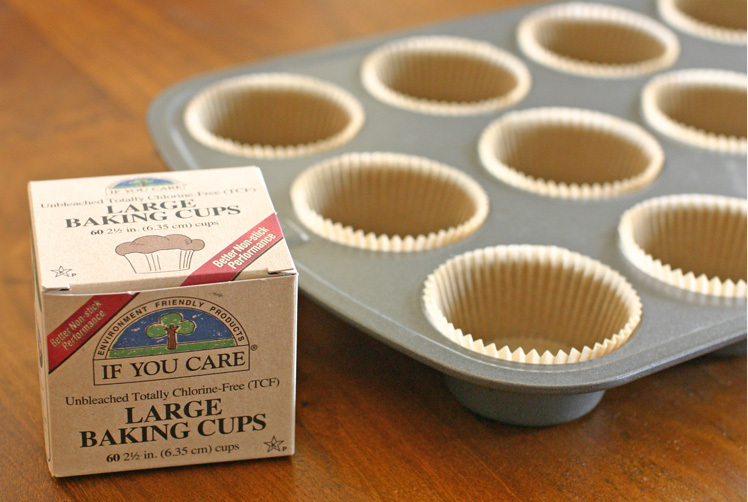 Preheat the oven to 400° F and line a standard muffin pan with parchment baking cups. If You Care brand is my favorite because they just fall away from your baked goods with no effort, and they don’t contain bleach or dyes. 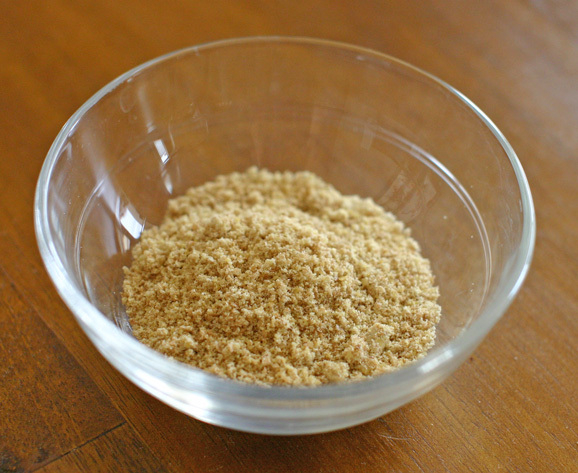 Pulse the oats into a flour in your food processor. 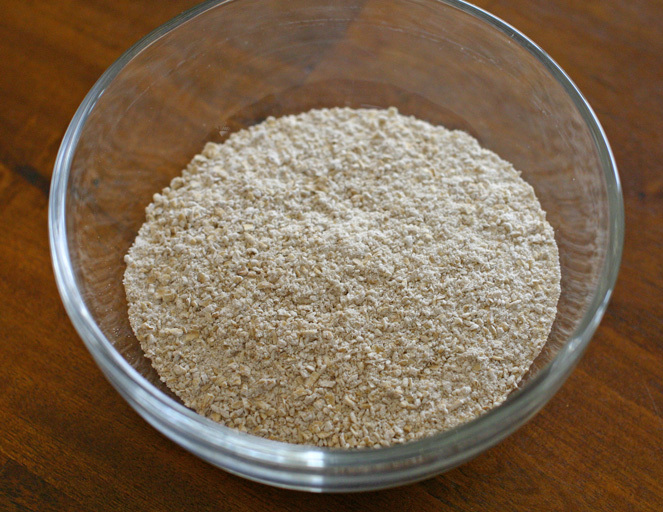 Transfer the oat flour to a medium bowl. Add the almond milk and cider vinegar. Stir, and then allow the mixture to sit while you prepare the other ingredients. Grind the flax seed. I use my Magic Bullet blender with the flat blade for this (see health notes below). Transfer the flax seed meal to a small bowl and add the water. Whisk thoroughly with a fork and set it aside to give it time to congeal. This is sometimes referred to as a “flax egg” and serves as a binder to hold all the ingredients together. In a small saucepan over low heat, melt the peanut butter with the coconut oil and coconut palm sugar, stirring constantly. Remove from the heat and set aside. 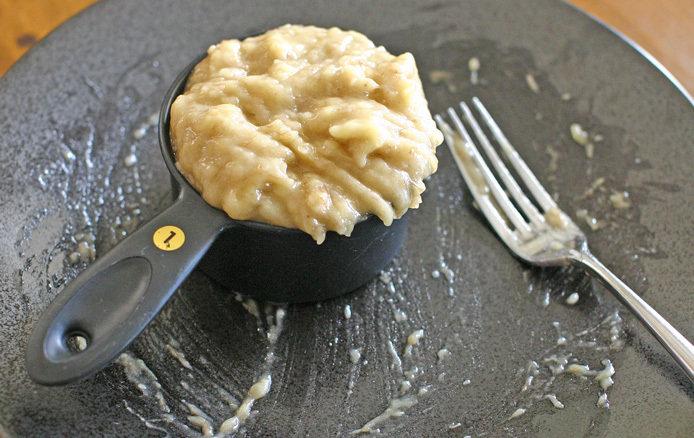 Use a fork to mash the bananas into a thick puree. In a large bowl, combine the spelt flour, brown rice flour, almond flour, sea salt and baking soda. 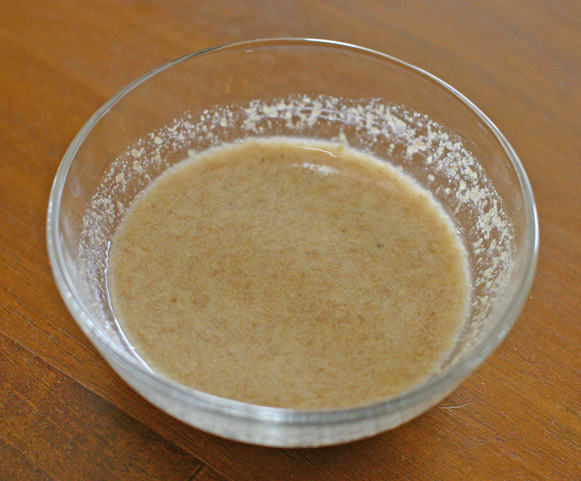 Make a well in the center and pour in the oat mixture, mashed bananas, peanut butter mixture, and the flax egg. 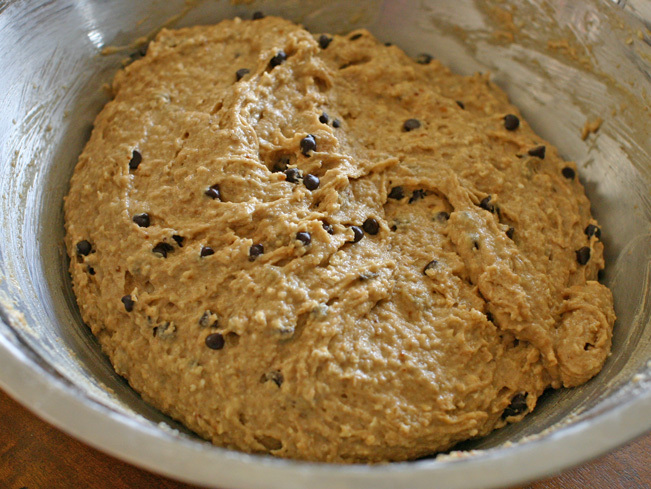 Stir well until a thick, even batter forms and then fold in the chocolate chips. Distribute the batter evenly among the twelve muffin wells. Slide the pan into the oven and bake for 25 minutes. Allow the muffins to cool in the pan for ten minutes, and then transfer them to a wire cooling rack to cool to room temperature. 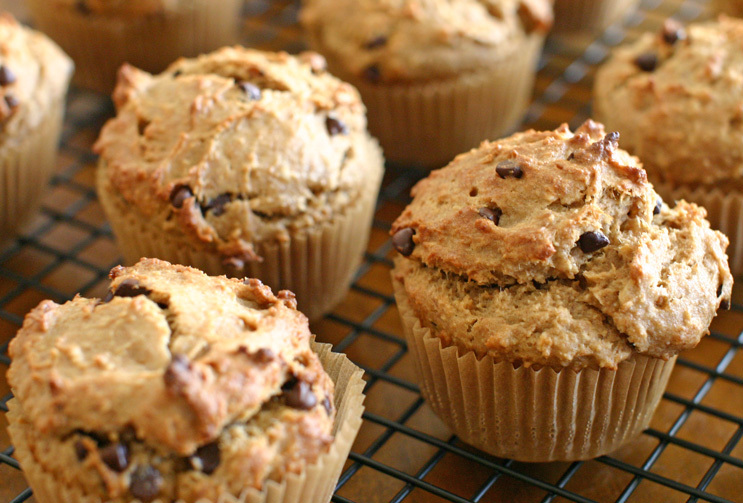 The texture of these muffins is surprisingly beautiful for a vegan, low-gluten muffin (spelt flour does contain some gluten): crusty on the outside, moist and crumbly on the inside. A tray of these won’t last very long. Enjoy! Oats are high in fiber and thus offer many health benefits that include lowering cholesterol and high blood pressure, evening blood sugar levels and promoting healthy bowel function. Plus, a half cup of oats (measured dry) contains 13 grams of protein! Bananas are rich in potassium and dietary fiber, as well as Vitamin C and B6. Peanuts are actually legumes and are rich in protein and healthy fats. They are also a great source of dietary fiber, Vitamins B6, E, niacin and folate, and the minerals magnesium, phosphorus, manganese and iron. Almonds are also excellent for protein and omega-6 fatty acids, as well as Vitamin E and riboflavin, and the full lineup of essential minerals such as calcium, iron, magnesium, phosphorus, potassium, zinc, copper and manganese. Flax seed must be ground in order for its benefits to be accessible. When consumed whole, the seeds tend to pass through the intestines undigested. But ground flax seed (“flax seed meal”) offers heart-healthy omega-3 fatty acids, dietary fiber and of course many vitamins and minerals. It’s always best to grind your flax seeds fresh each time you need them rather than buying flax seed meal at the store, as once ground, the nutritional value of the seeds diminishes over time (a process that can be slowed, incidentally, by storing ground seeds in the refrigerator). 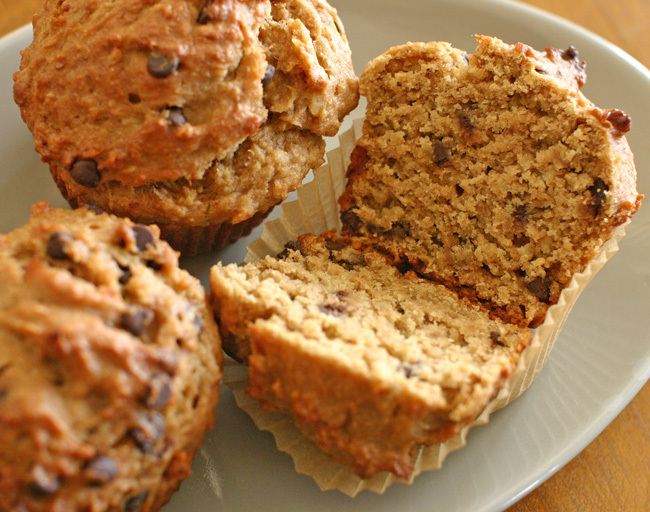 2 Responses to "Peanut Butter Banana Chocolate Chip Muffins"
Will this recipe work with regular sugar and just whole wheat flour? I cant find those three different flours and the coconut sugar. I can’t WAIT to try these! S- I know your Aunt Doris from Buckingham. She told me about your blog and I’m thrilled!